Most people’s favorite pastimes are snorkeling the house coral reefs, just 10 metres out, strolling or cycling along the palm canopied paths to visit the many other secluded beaches, or just relaxing on the beach or around the beach bar. But we offer a wealth of other activities for the visitor, taking advantage of the unique opportunities available on Carabao Island. Because there are so few tourists on the island all of the activities are a total delight and our staff will always be on hand to offer suggestions or guidance or help you with equipment if you require. 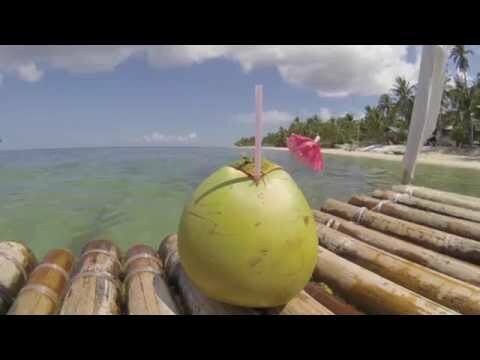 Learn more about Carabao Island – see it for yourself! Boat trips on one our own boats around the island, or to other islands, to visit other beautiful and secluded beaches – we can provide a gourmet picnic! Fishing – our guests caught a 4ft Barracuda in April and a 12 Kg snapper in May! Excellent Scuba Diving (we have an arrangement with the PADI certified dive centre just 5 minutes along the beach) – Numerous amazing dive sites from shore dives or very short boat trips await the novice and experienced diver alike. The Wall – goes down to 60m and The Cathedral is an amazing underwater cave. Try a Fun Dive for the novice or why not go for PADI Open Water Diving Certificate? ..and of course just lazing on the beach relaxing – beach beds & beach towels are provided! Trip to the amazing White Beach in San Jose – more beautiful that in Boracay – but with no people! BBQ on the White Beach – we will set up your own special BBQ site with gazebo, all equipment and great food! Carabao ridding. A great photo shoot opportunity to ride on the docile and friendly great creatures, who do all the work on the island! Visit to Bat Caves – Stunning great cathedral cave and 2 inner caves with stalagmites and stalactites and a huge number of bats!